TCATA awards college scholarships to students who are interested in pursuing a degree at any accredited U.S. college or university on a full-time basis. Click here for complete information about the scholarship program. Click here for the Scholarship Poster in PDF form. Click here for the Scholarship Contribution Form. Steven was chosen from an outstanding group of applicants. Ranked 11 out of 370 graduating seniors in high school, he maintained a GPA of 4.50 despite a schedule of demanding courses. Steven was chosen to represent Beta Club at the Florida State Convention where he competed in math and was part of the Quiz Bowl team. He was also an active member of Mu Alpha Theta and the National Honor Society, received the principal’s leadership award, and was named the Mosley Top Senior Science Student of the Year, among other honors. Steven was a member of the varsity baseball team for two years that achieved State Runner Up status. While on the team, he and his teammates put together a workshop for disabled children to teach them the game of baseball. Having already completed his freshman year at the University of Florida – where he made the Dean’s List - Steven will continue there this Fall, where he is majoring in Aerospace Engineering. “I continue to be very impressed with the quality of the applicants that apply for the scholarship,” stated Leslie Schaeffer, TCATA president. “The Association is most pleased to provide assistance for outstanding students like Steven, and we all wish him the very best success in college and beyond,” she went on to say. 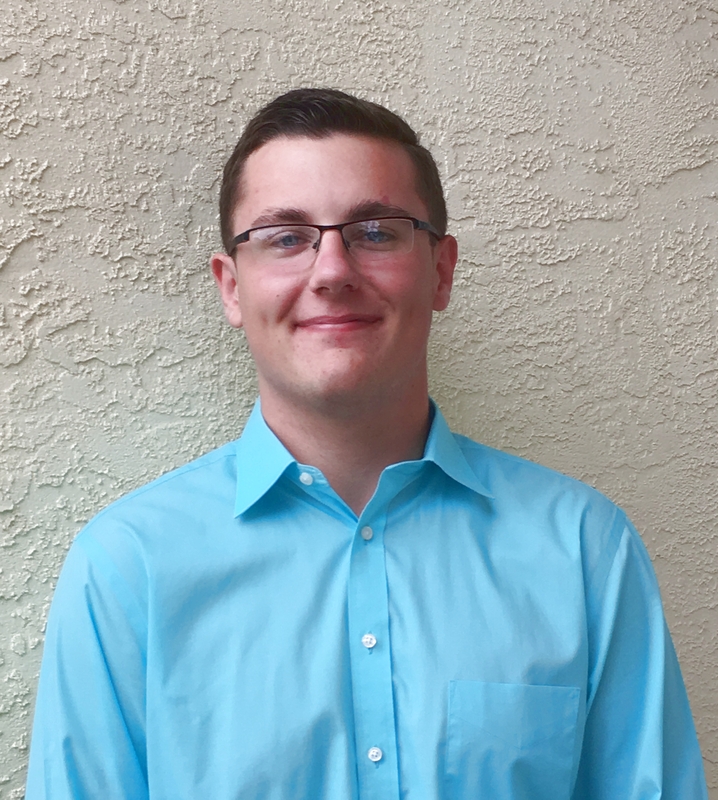 Congratulations to Nathan McElwain of Panama City, Florida, who was recently awarded the TCATA College Scholarship Fund for the academic year beginning in the Fall of 2017. He is the son of Doug McElwain, Project Manager at JENSEN USA. In addition to his outstanding record of academic achievement in high school, Nathan is an accomplished soccer player, a sport he has played since childhood. He is currently co-captain of his high school’s varsity team, and has spent considerable time sharing his love of the sport with 8-10-year-olds. He notes that one of the main lessons he has learned from soccer, one that he teaches these kids, is how it has helped him develop character. Nathan is also involved in many other activities, including the National Honor Society, Art Club, Student to Student Club, Fellowship of Christian Athletes, and many others. His volunteer work has included local charity drives, at his church and at Iron Man Triathlons. He is currently an engineering intern at JENSEN USA. In his work there, he has collaborated with the company’s engineering team in Germany and prepared models for industrial equipment used worldwide. Nathan plans to pursue a BS in mechanical engineering at the University of Florida. All of us at TCATA wish him the very best in college and beyond! Congratulations to Claire Burnett, who was chosen as the recipient of TCATA's 2016 college scholarship fund award. As such, she will receive $2,000 per year during each of her four years of college. Claire is the daughter of Jack Burnett, president of Union Drycleaning Products, USA. Ms. Burnett is an extremely accomplished person - both academically and otherwise. Her list of accomplishments is too lengthy to list in full, but here are some highlights: she is president of her high school’s National Honor Society, has achieved the highest possible score in every advanced placement test and is currently ranked third out of 377 students in her graduating class. A leader throughout her high school years, Ms. Burnett led the creation of a peer tutoring program; was heavily involved in the drama program; served as captain of the JV softball team; and was an active member of the student ambassador club. She also received the athlete scholar award. Ms. Burnett plans to pursue a psychology degree at the University of Georgia, ultimately obtaining a Ph.D. specializing in industrial-organizational psychology. “TCATA is very pleased to assist such an outstanding student as Claire,” stated Gerald Henke president of the association. All of us at TCATA wish her the very best during her college career and beyond. TCATA Scholarship Recipients - Where Are They Now? TCATA periodically features past recipients of the scholarship program - kind of a "where are they now"? Below is a feature on past recipient Ryan Dawson. Lea Trusty was a recipient of the TCATA College Scholarship Fund in 2012, and she went on to graduate from Princeton University in New Jersey with a major in Politics and a minor in Latin American Studies. She currently works at an NPR affiliate station in Connecticut as a fellow with the Newman’s Own Foundation. The Newman’s Own Foundation donates and works with a number of nonprofit organizations. At the station, Lea has a number of duties, including local and regional reporting and assisting with their social media. Lea plans to continue working in the nonprofit sector to promote political activism in marginalized communities. She's a New Orleans native and is still looking for a decent shrimp po-boy in the Mid-Atlantic. Ryan Dawson, son of David Dawson – who was with R. R. Street & Company at the time - received the TCATA scholarship in 2003, and attended the University of Illinois at Urbana-Champaign. He studied engineering and spent his summers at several engineering internships, including a nine-month stint designing breweries as a brewing operations and technology engineer at Anheuser-Busch. He graduated in 2008 with a Bachelor of Science in civil and environmental engineering and a minor in business administration, and joined Bain & Company in Chicago as a management consultant. During his time at Bain & Company, Ryan worked for numerous clients in varied industries including consumer products, telecom, asset management, real estate, private equity, and more. While with Bain, he also spent six months in India, establishing the Mumbai office. After three years at Bain, Ryan moved to private equity, joining The Gores Group in Los Angeles, first as an associate and soon after, as a senior associate. While with Gores, he performed due diligence for acquisitions and provided operating and performance improvement support for portfolio companies. In 2014, Ryan matriculated at The Wharton School in the University of Pennsylvania to pursue an MBA. After two years at Wharton and a summer with a hedge fund in New York, Ryan graduated with Palmer Scholar distinction, and in 2016, returned to work at Bain & Company. Alicia Lendon graduated in 2007 from the University of South Carolina, where she earned a degree in psychology. She then went on to earn her law degree from Seton Hall University, and is now practicing law in upstate New York. She serves as an Assistant Attorney General with the New York State Attorney General's Office where, among other issues, she works on consumer protection matters. "I am very appreciative of the scholarship award that I received from TCATA", Ms. Lendon stated. She went on to note that every amount of help with college expenses is helpful and that leaving college with less debt is a good thing!